I saw this honey bee on some Thistle Knapweed close to the water (i.e., the Atlantic Ocean) in Flatrock today, right at the entrance to the East Coast Trail. I’ve heard that honey bees will go for Thistle, but today is the first time I’ve seen it with my own eyes. Alright, then. So let’s add Knapweed to my list of honey bee friendly flowers in and around the area of St. John’s, Newfoundland. P.S. : At first I thought the plant was Thistle, but it doesn’t have thorns like Thistle. So I asked around and it was identified as the invasive weed, Knapweed. It’s not the only invasive plant honey bees are able to take advantage of. Honey bees are attracted to Thistle, but I won’t add it to my list until I — correctly — see it with my own eyes. 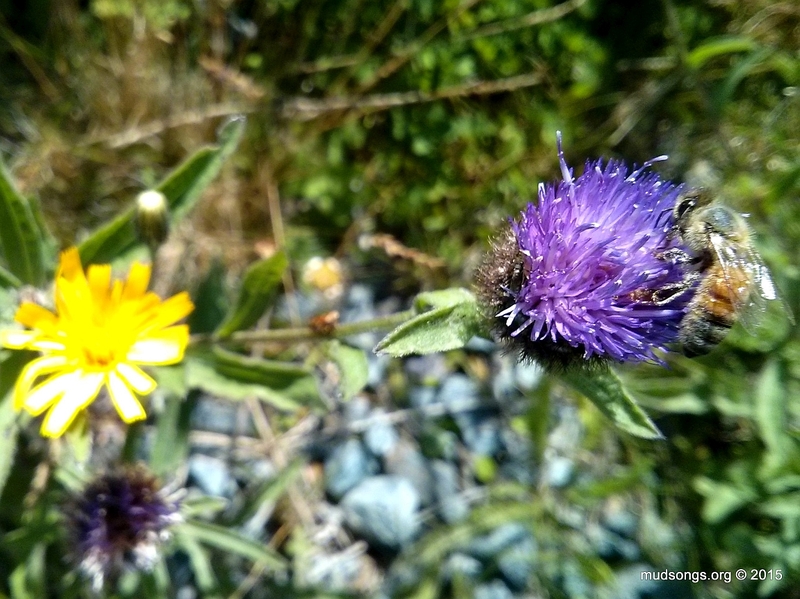 This entry was posted in Flowers, Knapweed, Month of August, Year 2015 and tagged Newfoundland Honey Bee Forage. Bookmark the permalink.